First Born is a cliched but watchable thriller. Laura (Shue) is a dancer who gets pregnant and moves into a country home with her husband (Steven Mackintosh). After the pregnancy, she starts getting post-partum depression. She uses Tom Cruise AKA Mapother's misguided advice to not go on drugs. She starts seeing and believing things that aren't real. 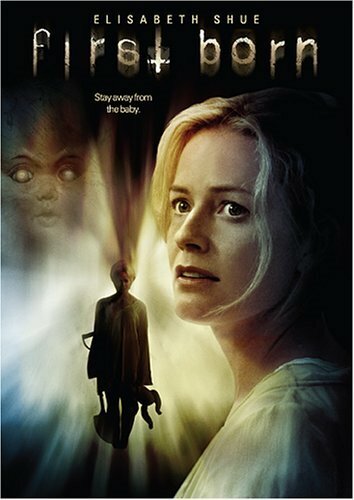 Elisabeth Shue puts in a good performance, but the script and plotting are lacking. It's basically the same scene for 90 minutes. Laura goes crazy and no believes her, ad nauseum. The ending, while interesting, can't bring the movie up to snuff in time. Overall, First Born is a decent movie, but the script, idea and execution could've been way better.